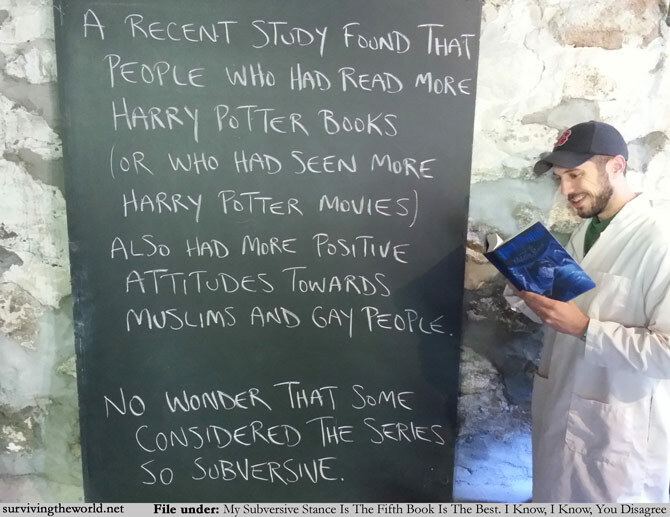 There may be some misdirected causation in how I'm wording the findings above - in that what the study may have found was that people who restricted others from reading the book series were people who already had close-minded views regarding Muslims and gay people? Perhaps they read the least-good second book, though, and stupidly stopped reading the rest of the series. Who am I to say, I still like the fifth book the most.